It is always a good chance for you to shine in the wedding day! 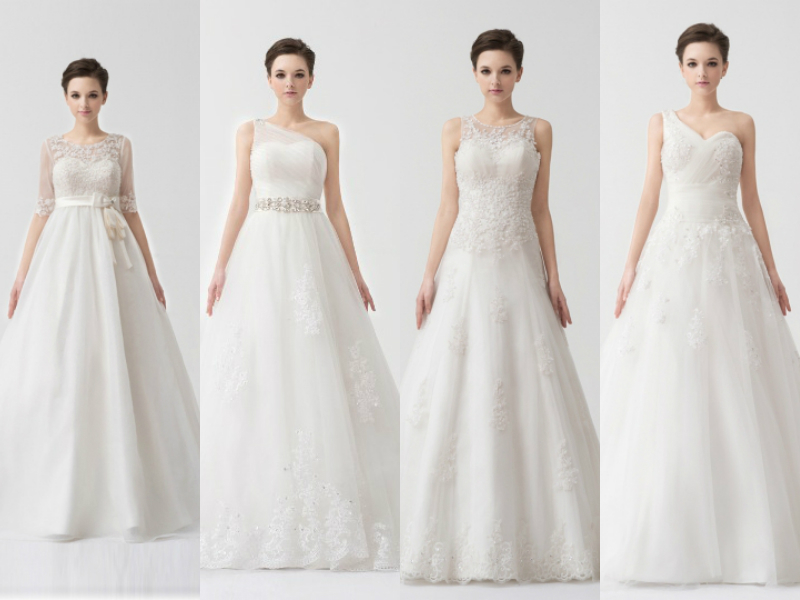 By selecting the perfect fabric and design for your dream wedding dress, you will be able to make you figure out and can offer a fantastic appearance to the entire dress, your skin, hair and face. The natural hues of the skin will cause great impact on the pattern as well as dress fabric that you select. The perfect attire that will perfectly matches the natural tone of skin can offer a more glowing and vibrant appearance as a whole. If the wrong fabric is chosen to make the dress, it will only provide a sallow appearance or pale and sleepy deprived look. 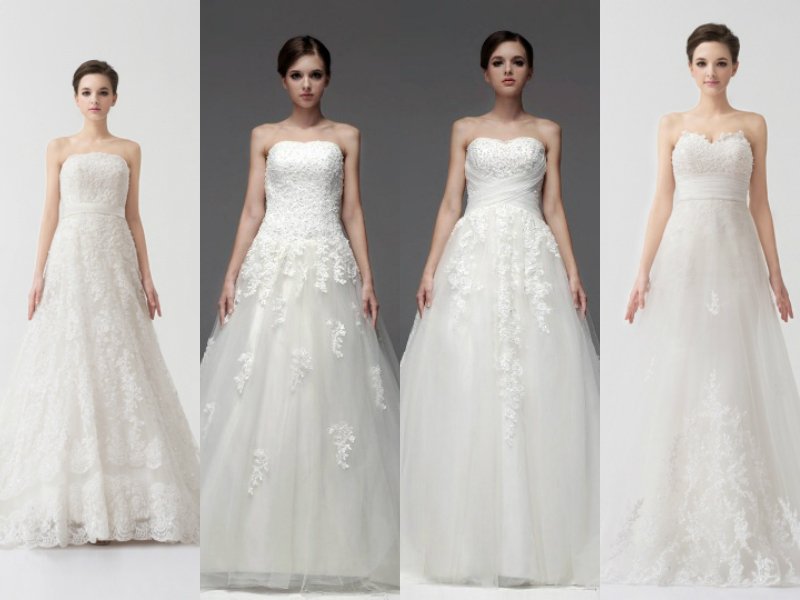 Before you select the fabric and design of wedding dress, be aware of the type of body you have. Similarly, you can select the bridesmaid dress as per the skin tone of the selected bridesmaids. The skin tone is basically classified into two major sections, namely warm and cool. The individuals with cool skin tone will possess pinkish blue skin undertone. In case of people having warm skin tone, they will be having golden skin undertones. The simplest method of finding the kind to which you actually go is by washing every facial makeup and hold gold and silver foil alternately up to the face. On holding the correct metal over the face, one can see that face will look more healthy and glowing. The wrong shade offers the skin a greyish appearance and will wash out. The silver will appear best with cool skin tones while gold on warm skin tones. So it would be ideal to find out the skin tone before the bridesmaid dress color is selected. For the cool skin tones, winter complexions are generally dark, yellowish olive or pale white. It basically is for individuals that have dark eyes and hair of black or brown color. The skin tones with the autumn complexions will possess golden skin undertones that are orange or bronzed shaded when compared to spring tones. In this category, the ladies with beige, ivory, golden brown or dark skin tones with brown eyes and brunette or dark red hair fall. The wedding dress and bridesmaid dress selection must be totally as per your taste, preferences, and skin tone and body shape. The colors are different for spring tones, winter tones, summer tones and autumn tones. The women who are winter complexioned possess many options for selecting the perfect color for their dress. These skin tones appear the best in rich as well as intense shades like black, navy blue, hot pink and crimson. Even lighter shades like fluorescent pastels and bright white will also a great look. It is best to avoid the earth toned bridesmaid dress that will give a sallow or pale appearance. For summer tones, the muted and cool colors like plum, baby blue, lavender, pale yellow and rose will offer stunning appearance. The earth shades or heavily contrasted colors will make it appear washed out. The soft pale shade are best for spring toned women while spicy, rich and earthy shades in autumn tones.